The current sexual and reproductive prevention methods have significantly improved the health and well-being of women and their families. But this is not enough. Worldwide each year there are still 85 million unplanned pregnancies, 21.6 million unsafe abortions, and nearly 300 000 maternal deaths from complications related to pregnancy and birth. HIV remains the leading cause of death of women of reproductive age worldwide. Sub-Saharan Africa has the highest burden. While anti-retroviral drugs are effective treatments, half of the women living with HIV in resource-limited settings can’t access them. And women’s HIV prevention technologies remain limited. Their use is often outside a woman’s sphere of control. 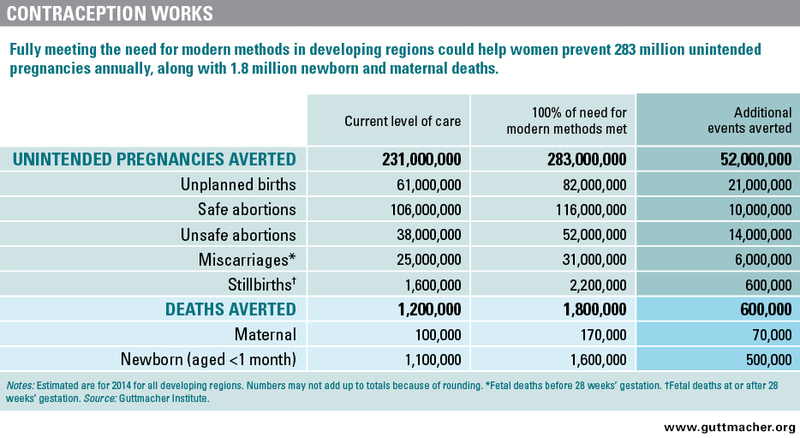 Enabling women to maintain good reproductive health requires innovative and improved prevention technologies. A revolutionary class of women’s sexual and reproductive health prevention products is being developed and may prove to be the linchpin to achieve the sustainable development goals that relate to women’s health. Multipurpose Prevention Technologies, more commonly known as MPTs, are a new class of product in development. They deliver varying method combinations to simultaneously prevent HIV, sexually transmitted infections and unplanned pregnancies. Although these technologies are complicated to develop, they are technically feasible. Since the field was launched six years ago, it has evolved from an innovative concept. Currently there are over 20 products being developed with nearly a dozen products in clinical trials. There are many forms of innovative technologies being developed. Some combine contraception with prevention from sexually transmitted infections while others provide women who want to get pregnant with protection from HIV and other Sexually Transmitted Infections (STIs). Many do so in discrete forms that do not require partner negotiation. Some are designed to be used just before or at the time of a sexual encounter while others are long-acting products. new bio materials that will feel more like skin to make better feeling condoms; and other innovative technologies. The goal is to create an array of broad-spectrum prevention methods which a woman can choose from to best suit her circumstances. But without increased investment in the research and development of these technologies, these powerful new prevention methods may never reach women’s hands. The intersecting nature of sexual and reproductive health risks is especially apparent in areas of the world where women have the least access to modern contraception and face the highest HIV and STI risks. In 2012, young women in sub-Saharan Africa accounted for 70% (25 million) of the 35.3 million people estimated to be infected with HIV globally. By reducing non-HIV sexually transmitted infections at the same time as HIV and unplanned pregnancy and health costs will be cut. In addition lives can be saved. If sexually transmitted infections such as herpes, chlamydia and human papillomavirus are left untreated they can result in infertility and cancers. Herpes and human papillomavirus also put women at greater risk of acquiring HIV. Sub-Saharan Africa has the highest burden of herpes where up to 80% of sexually active women are estimated to be infected. It is no secret that improving women’s ability to plan and space children improves the economic well-being of families, saves millions of lives and billions of dollars. Reducing the incidence of HIV and STIs also offers clear and well documented benefits to women, families, and economies. Doing it all at the same time will magnify these benefits. And it is key to ending poverty and fulfilling the range of interlocking sustainable development goals that shape our interconnected futures. Women, providers and advocates of women’s health are enthusiastic about the multipurpose prevention technology. Combining prevention benefits into one product will be more efficient and will increase the number of women covered by this umbrella of prevention. Early market research shows an overwhelming preference for products that can address multiple sexual and reproductive health risks. And research shows that HIV stigma is a barrier that prevents many women from seeking HIV prevention. It suggests combining HIV prevention and protection from STIs with contraception delivered in family planning settings will increase HIV prevention uptake for many women. Researchers, health care providers, and funders from around the globe, including China, India, Kenya, South Africa and the US have forged in-country collaborations to ensure multipurpose prevention technologies will be desirable and accessible to those who need it most. The social benefits of these technologies are far reaching. It ranges from educational attainment to reducing child mortalities, improving incomes, reducing inequity and having a positive impact on the environment. 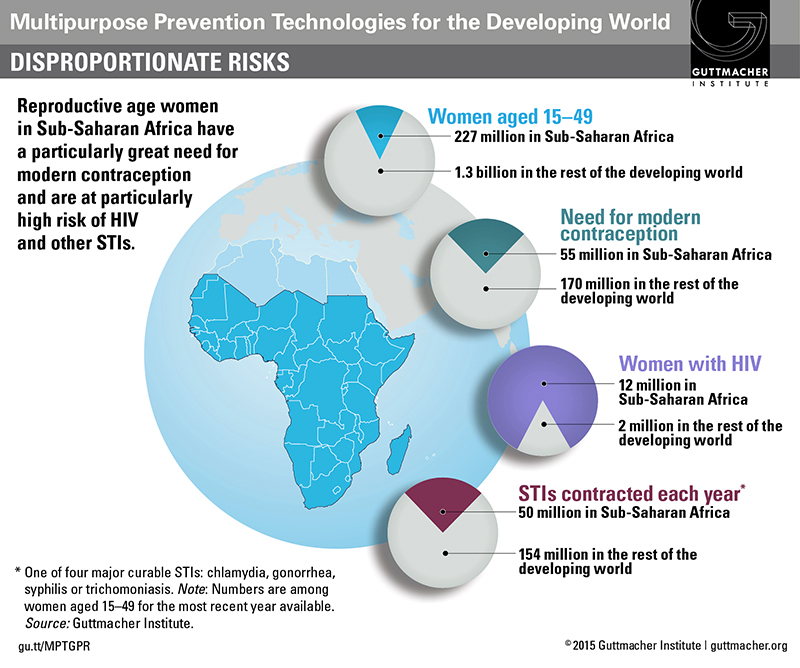 For the young women in sub-Saharan Africa who bear a disproportionate burden of HIV infection, unwanted pregnancies and sexually transmitted infections, these technologies could be life-changing. _This article is a version of a blog originally written by Professor Helen Rees and Dr Bethany Young Holt, who is the director of the IMPT (Initiative for MPTs), a project of CAMI Health where she serves as executive director. CAMI Health is dedicated to the health empowerment of women and girls and is sponsored by the Public Health Institute.